NEW YORK TIMES bestselling author Tamora Pierce's long-awaited return to the magical world of Winding Circle -- now in paperback.The drums of war are beating . . .Mages Briar, Rosethorn, and Evvy are visiting the mystical mountain kingdom of Gyongxe when they are suddenly called away. The emperor of Yanjing has invited them to see his glorious gardens. During their brief stay, though, the mages see far more than splendid flowers. They see the emperor's massive army, his intense cruelty, and the devastating magic that keeps his power in place.When the mages discover the emperor's plans to invade Gyongxe, they race to protect its treasured temples. But duty, magic, and terror threaten to drive them apart. With time running out, can the mages come together to save their spiritual home? 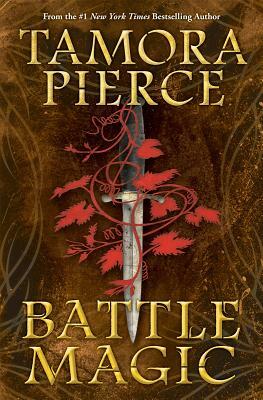 Tamora Pierce is the critically acclaimed author of more than twenty novels, including the Circle of Magic and The Circle Opens quartets, The Will of the Empress, Melting Stones, and, most recently, the New York Times bestselling Beka Cooper trilogy. She lives in New York State with her husband, Tim, and her seven cats and two birds. Visit her online at www.tamorapierce.com.